Pantheon (perhaps the most extraordinary building in western civilization), and the Vatican, home to the Pope and the Catholic Church, as well as one of the world’s largest collections of art. Here tourists are awed by Michelangelo’s spectacular Sistine Chapel and pieta, as well as the largest church in Christendom. No visit to Rome is complete without indulging in something Romans do best: food. Eating a plate of prosciutto and melon from one of the many outstanding restaurants in any one of Rome’s beautiful piazzas would be a good start. For dessert, sniff out some good gelato and relax on the Spanish Steps or head to the Trevi Fountain and throw a coin in for good luck. Rome’s hotel scene is a lot like other European cities with a wide variety of hotels and hostels, just be sure to book in advance to a nice one, like The Beehive, because rooms tend to fill to capacity quickly, especially in summer high season. 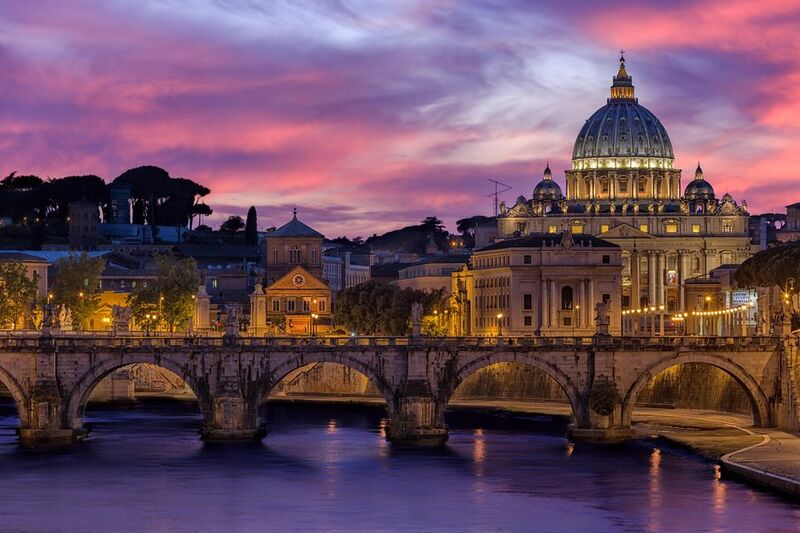 When in Rome, be sure to take a minute to do as the Romans do: relax, talk, and enjoy life. 100s (40C) over July and August, and in August many stores and restaurants close for le ferie (holidays). Don't be discouraged by the idea of a winter trip, however...though it's cold, you'll have the city to yourself and the Christmas holidays really light up the city. Ah, the Eternal City. Rome is great even as a backpacker. I recommend walking around at night (if you feel safe, or have a male companion to walk with) as that's when you'll get the cool, calm, well-lit, and less crowded version of the city. Went is September and the weather was amazing. Bring walking shoes and do the city on foot! Italy an amazing place to visit, u never get enough there is a certain unknown charm in it, i visited Romefor over 8 times and i take all my friends there who fall in love with it, from the history, glory of the cathedrals and the Vatican to the cultural sites, to the amazing food. Rome is dirty, but the history is so incredibly rich that you don't even notice. This is a must-see for history buffs or students! The food and history made Rome my favorite city in Italy that I’ve visited so far. Roman style pizza is thin and crispy and they always use the best, fresh produce. The food is good and cheap and so is the wine. I love being able to walk around the city and see structures that are hundreds of years old Next to modern-day buildings. An incredible trip by all accounts. It's a place of rich history, good food and lots of things to do!